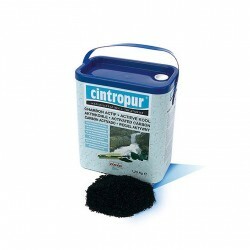 Quality activated carbon for water filters Cintropur and water filters compatible: CINTROPUR. Only in a carton keg of 3.4 liters. Other contents available in the exclusive brand Carbolite 2.5 liters and 5 liters. Cintropur box There is 1 product.